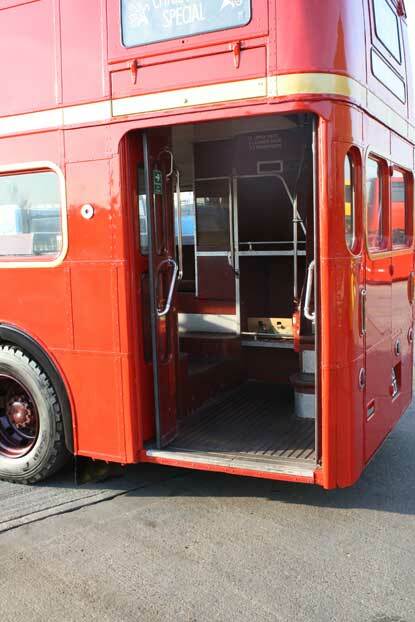 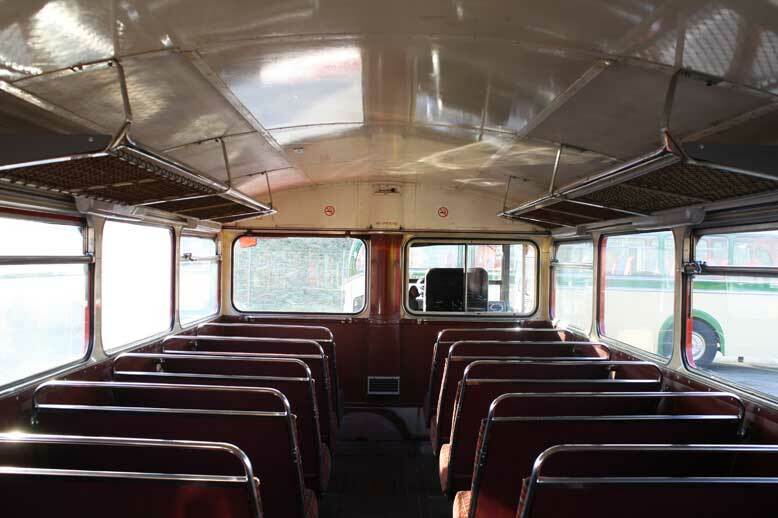 One of our most popular Routemasters is the ex Green Line version that provides protection from the cold with closable doors and was built for more speed and comfort. 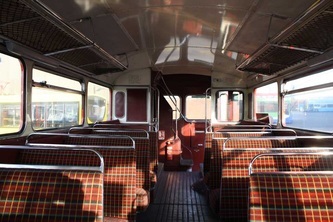 This example maintains an original sounding engine as well much of its original interior charm, including deeper seats and luggage racking. 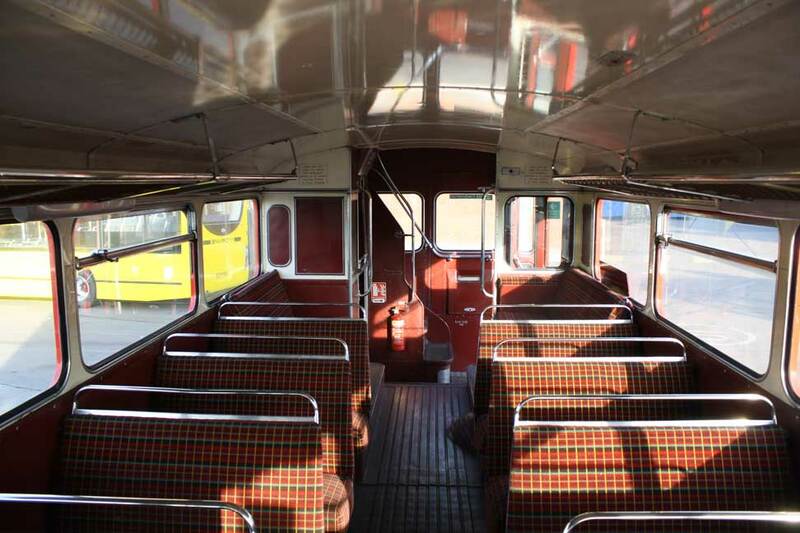 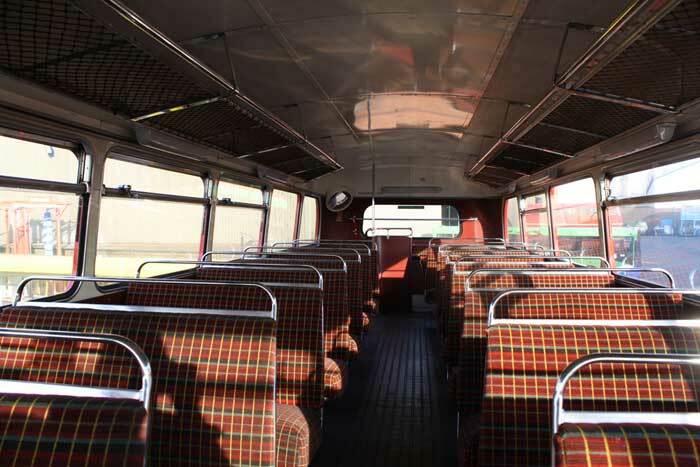 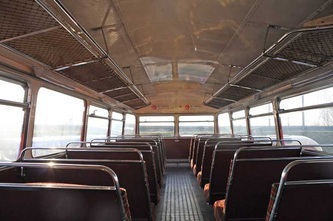 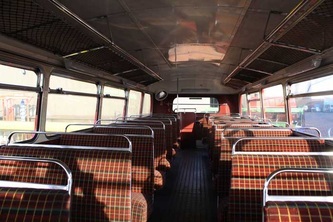 The RMC was London Transports first attempt at a double deck coach and was aimed at keeping and indeed increasing its commuter market. 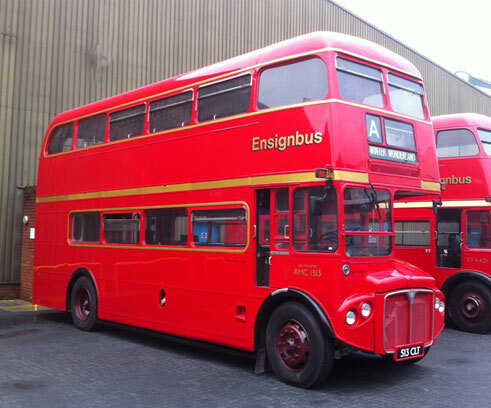 68 of these splendid vehicles were ordered of which 1513 was towards the end of the batch. RMC1513 entered service at Stevenage garage in January 1963 working mainly on the Green Line commuter route 716 and 716A. Following first overhaul it transfer to Addlestone garage where it continued to work on the 716 group of routes. 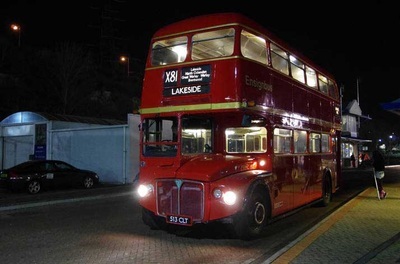 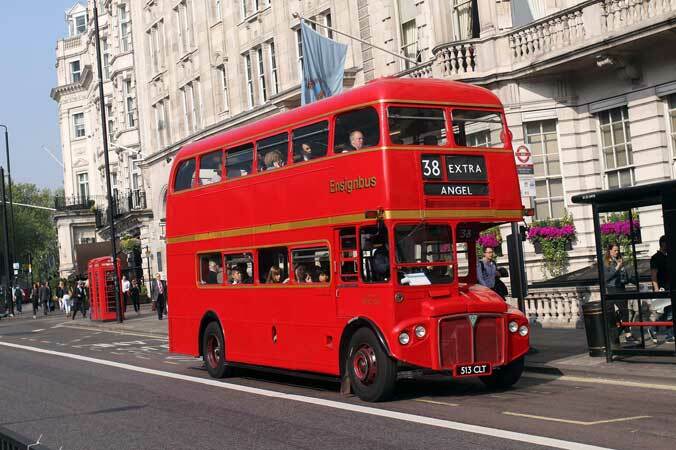 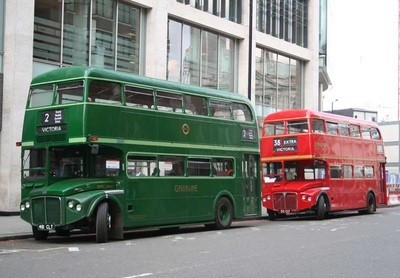 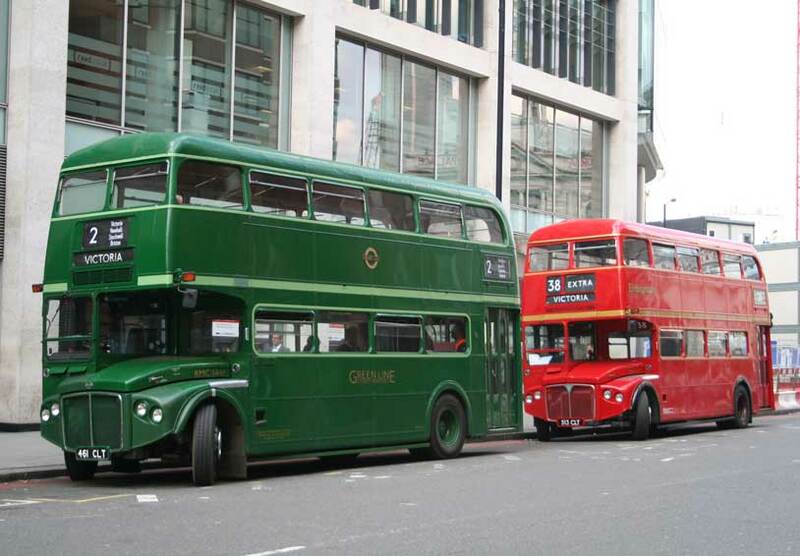 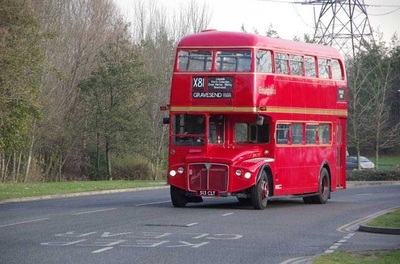 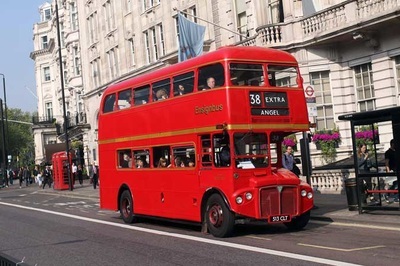 Following the break up of London Transport’s Central and Country Area’s, the country area (operating the green buses) was renamed London Country and RMC1513 transferred to the new company. 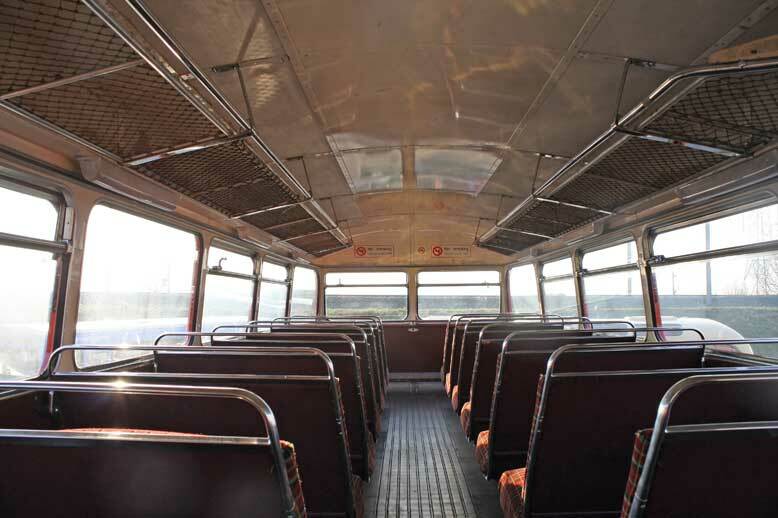 By this point the vehicle had again moved, this time briefly to Hatfield where it would’ve operated on the 303 as well as returning to the 716 group of services. 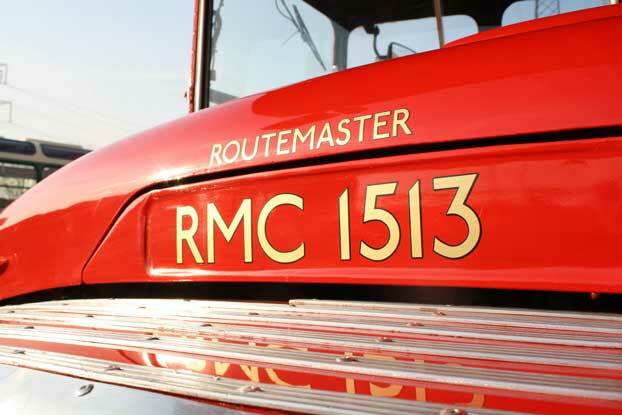 In 1972 RMC1513 went to St Albans garage where it was used on the 330s. A string of other garages followed as the vehicle was stored and used as a trainer at Hemel Hepstead, Garston, Hatfield, Winsdor, Tring and Guildford. Withdrawn by Metroline in early 2012 with a blown engine it was acquired by Ensignbus, who in Autumn 2012, replaced the engine, reinstated the luggage racks and repainted it back into the X15 livery as an identical twin to its former stablemate RMC1485. 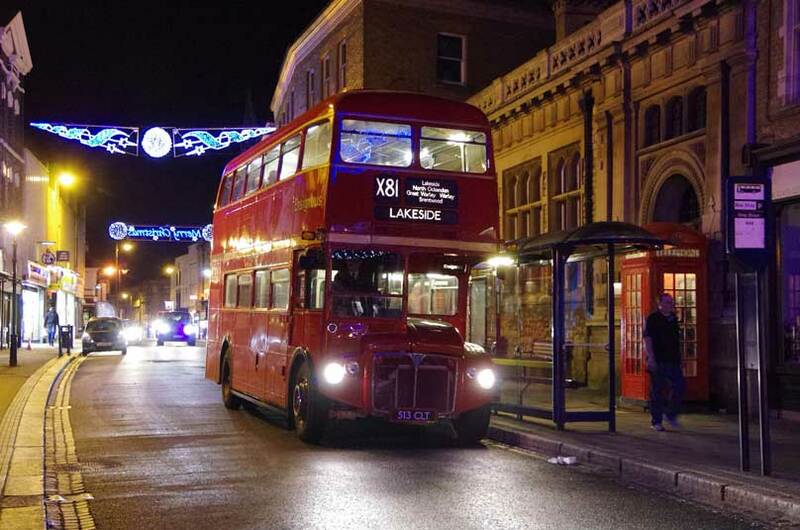 It made its first debut with Ensignbus on the 2012 X81 Running Day on December 1.